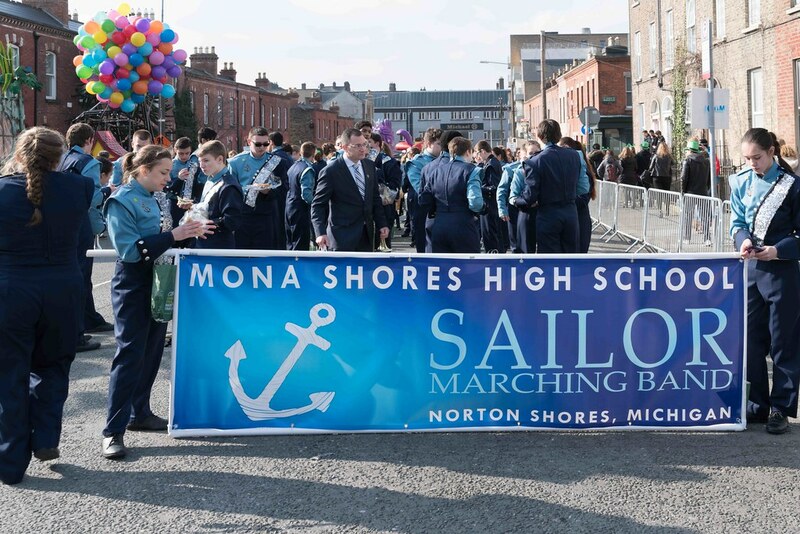 Mona Shores is one of 14 marching bands selected worldwide to march in the festival's parade, which marks the 100th Anniversary of the Easter Rising. 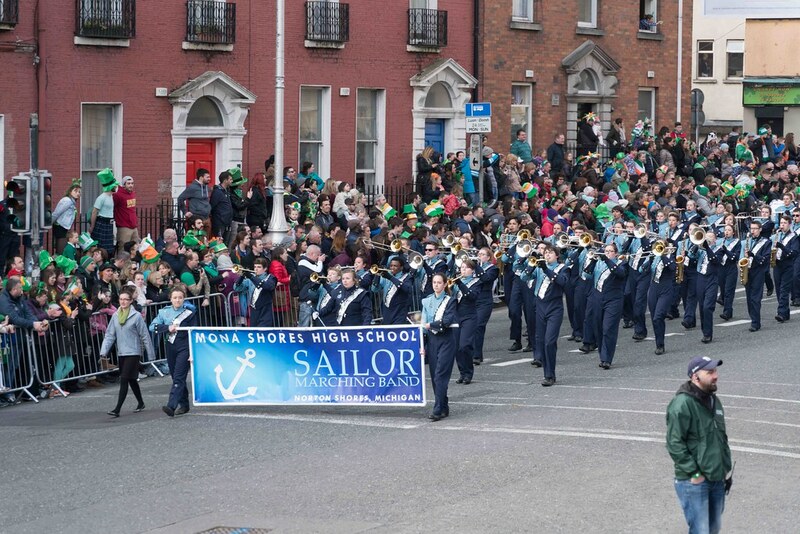 The Sailors will be joined by nine other high school and university bands from the United States, two bands from Ireland, and one band from the United Kingdom and France, respectively. Mona Shores Public Schools is a public school district located in Michigan, United States, in the western side of the state near Lake Michigan. The district includes most of the city of Norton Shores, which is just south of Muskegon. The current superintendent is Greg Helmer. 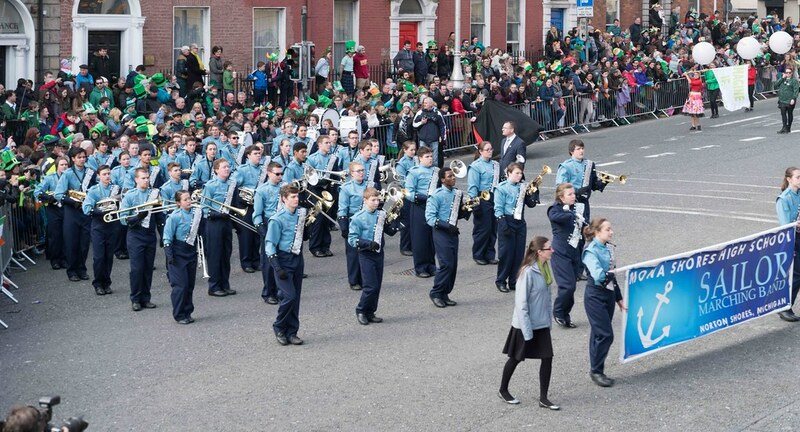 The school is well known for its band program which includes outstanding Concert Bands, Jazz Ensembles and Marching Band. The Marching Band won state titles in 1993, 1995, 1998, 1999, 2000 and 2003 as well as a USSBA National Championship in 2006. 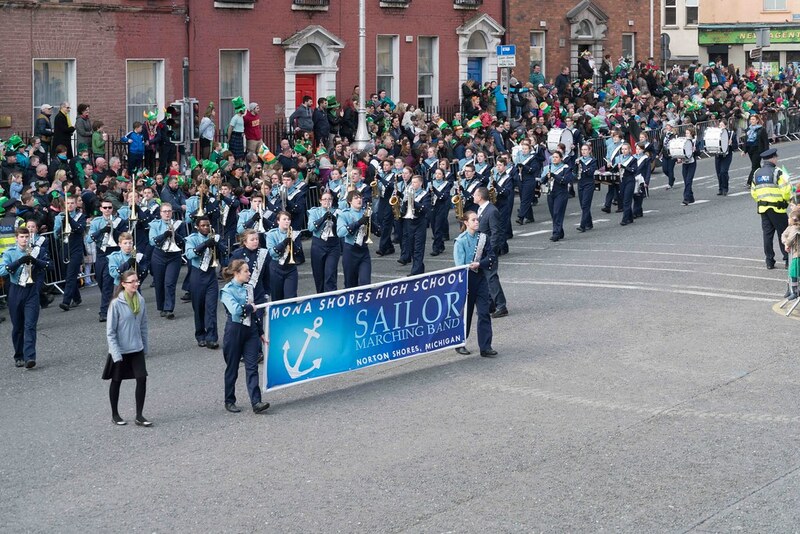 Travel has played an important role in the success of the Mona Shores band program with overseas performance tours every three years since 1972 and many performance tours to the U.S. East coast, South and Midwest. The district is also well known for its choral program under the current direction of Shawn Lawton (Mona Shores High School) and Kyle Cain(Mona Shores Middle School). Former high school directors include: Larry Gray and Skip Frizzell. Former middle school directors include: Larry Rueger and Katherine Bourdon. In 2002, a number of auditioned members of the Mona Shores Singers (the top choir at the time) were invited to perform at the White House for the president and his staff. The choir also presents many annual concerts including Pop go the Sailors and The Singing Christmas Tree, which is the largest in the United States. The choirs singing Christmas Tree was featured on TLC's production of Extreme Christmas Trees in December 2011. The orchestra program was founded in 1986. The high school orchestras, under the direction of Timothy Staudacher, have performed at music festivals and conferences not only in their home state of Michigan, but also throughout the United States including Smoky Mountain Music Festival (1998 - Overall Winner, 1995 - First Division Winner); Magic Music Days at Disney World Florida (2000); Midwest Music Conference in Ann Arbor, Michigan, (2000, 2001, and 2005); American String Teachers Association National Orchestra Festival in Detroit, Michigan, (2007- Fifth Place in the String Orchestra Division); Michigan Music Conference Performing Ensemble (2008). The high school orchestras have consistently earned first division ratings each year in Michigan School Band and Orchestra Association District Festivals. The orchestra began touring internationally in 2000, with a trip to The Czech Music Camp for Youth near Prague in the Czech Republic. 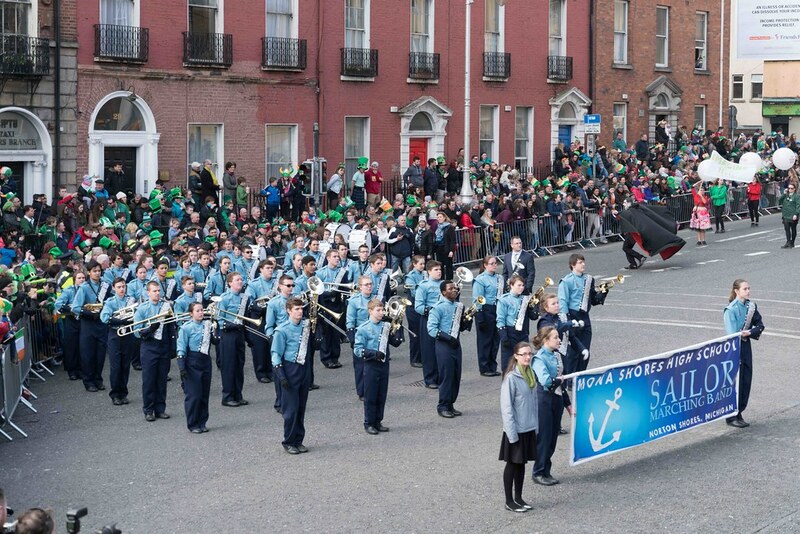 The group has since traveled to and performed in China (2005), Ireland and England (2008) and most recently to Czech Republic, Hungary, and Austria in June 2012, under the direction of current middle school orchestra director, Kelly De Rose. Timothy Staudacher also founded the Mona Shores Fiddlers (MSF), an extra curricular alternative styles ensemble, which performs throughout the Muskegon community, including at the Michigan Irish Music Festival. The MSF hosts an annual Fiddle Fest in November which has featured guests artist including Detour, Barrage, and Finvarra's Wren.